Go to nearly any tourist attraction these days, and you will see quite a few people taking pictures and video with their iPads. Now, I’ve groaned to myself in the past whenever I’d see that transpire, often thinking, “Why don’t they just use a real camera, or even a cell phone?” It seems so impractical to use an iPad, of all things. However, as iPads have grown in their processing abilities and their ubiquity, I have come to realize that with a little help from additional software and hardware, the iPad can be made into a powerful filmmaking tool. Not just for running ancillary apps to assist you in your filmmaking, but as an actual video camera that can be used to tell your story. 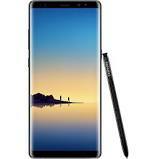 Ever since the capability for shooting HD-resolution video on iOS devices was introduced, filmmakers of all backgrounds put them to use in some form or fashion if the need arose. The iPhone, especially, has been used exclusively on countless productions ranging from small no-budget projects to high-end commercial shoots, like this one for Bentley Motors, shot entirely on iPhone 5s cameras. In 2012, the comparatively diminutive iPhone 4s showed that it could hang with the big boys at Zacuto’s Revenge of the Great Camera Shootout where they pitted it against industry-standard cameras like the ARRI Alexa and the Canon C300, which cost many, many times more. The shootout is definitely worth watching if you have the time. So, now that we’ve established that iOS devices can, in fact, shoot video that is useable in situations beyond tourist traps, let’s dive into how you can get some good quality, and even cinematic footage out of your iPad’s camera. The first thing that should be understood about the iPad, to know what to expect of it is that, first and foremost, an iPad is a computer. Now, one can make an argument that any digital camcorder is a computer; however, those “computers” are purpose-built tools whose singular purpose is to record video. Their special internal hardware is programmed to perform that function and maybe a few others, besides. That internal hardware is then enclosed in an (ideally) ergonomic casing so it can be comfortably held for long periods of time and have accessories mounted on it. The body itself also has controls for the camcorder’s various functions, as well as mounting points so it can be supported by grip equipment, such as tripods. Some camcorders even have the ability to swap lenses and even image sensors for different image-making possibilities. Comparatively, the iPad is a flat slab of a chassis with one side dominated by a touchscreen, with the intention of being used held in the hand or resting on a flat surface; not ideal for holding out in front of you at a proper angle to capture video. However, the internal hardware and software is what can make the iPad shine. Unlike dedicated camcorders, with their discrete image-processing hardware, the iPad has much more computing power at its disposal, so with a little homework, you can put that hardware to good use recording video. To recap, the fact that the iPad is essentially a computer is its greatest weakness, but also its greatest strength. 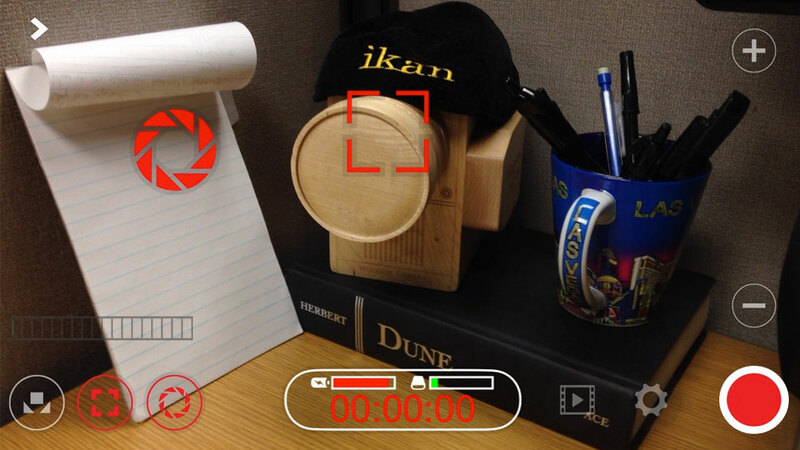 So, what can we do to make your everyday iPad a seriously capable camcorder? First, we have to improve the iPad’s internal ability to capture video. It already has an image sensor and a lens, but out of the box, the only programs that use it are Facetime and the less than fully functional camera app. While the built-in camera app may be all right for the occasional quick video, where you don’t really care about what the camera does as long as your image is exposed correctly, it’s far too limiting for any serious use. Luckily, there are quite a few development teams who have taken it upon themselves to create apps that really take advantage of the electronics in the iPad. My personal favorite app (and one I use on my iPhone all the time) is FiLMiC Pro. FiLMiC Pro’s most basic functionality allows you to adjust your frame rates (rather than have you stuck at boring 30p) and lock your exposure and focus based on where you drag the on-screen reticles in your scene. In the photo above, of my impromptu camera-testing station (a.k.a. my desk), I have my focus reticle set on the wooden camera, and the exposure reticle set on the pad of paper to make the overall exposure based on the brightness of that spot (since the paper is white, the shot is underexposed). When the reticles are red, they are locked, so even if you move the camera, your exposure and focus will remain set. 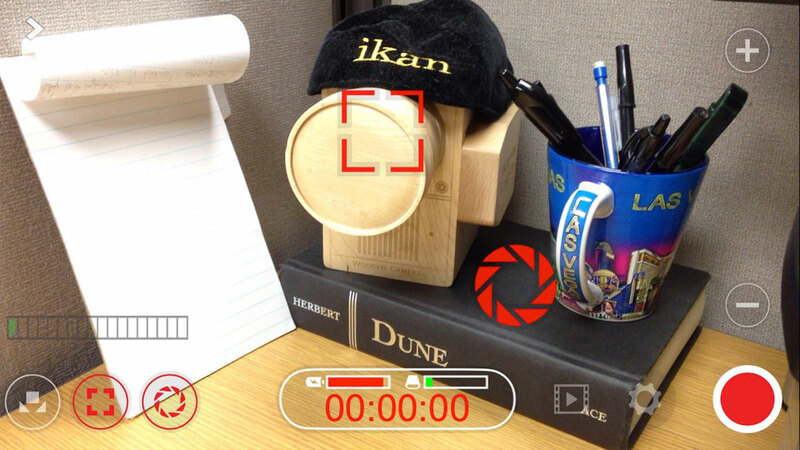 This prevents the telltale exposure and focus shifts all too common in default camera programs. You can also purposefully change the exposure the way I did for this next shot. For this shot, I moved the exposure reticle to a darker spot on the image to purposefully overexpose the picture. However, the ability to control your exposure is no longer limited to having those reticles. If you hold down the exposure, focus, or white balance locks, a slider will appear, allowing you to adjust those values individually. Advanced features include preset focus pulls and individual adjustment of exposure compensation, shutter speed, and ISO. As of this writing, the apertures on all iPad built-in lenses are fixed and cannot be adjusted. Audio can be monitored and adjusted manually, as well, although the internal recording capabilities with the internal microphone are not exactly stellar. Then again, if you really want to record audio internally, you will need some additional external equipment (we’ll get to that later). I’ve only touched on the more basic functionality of FiLMiC Pro, but just knowing that manual control of the essential settings is available from third parties makes the iPad’s video capability that much more practical. We’ve covered manual control of video settings, so let’s move on to the next important piece of the video pie: audio. Audio quality probably affects your general production quality more than any other single factor. Subpar video quality can sometimes be forgiven, but bad audio quality will often take the audience right out of your story. Unlike the visual aspect, getting useable “in-camera,” or single-system audio, is not as straightforward when working with an iPad. While the iPad can record some excellent-looking video and record some rather high-quality audio, doing both at the same time can be a little more difficult. Getting scratch audio from the built-in mic is easy within most video recording apps, but that’s about as much as you can use it for. Even higher quality microphones that can plug directly into the iPad won’t really cut it for more than a backup track or ambient sound recording. Another issue when using microphones that plug into the headphone jack is that you generally lose any ability to monitor your audio for a bad take. For the best-quality audio, I recommend going with double-system sound, especially when under a lot of time pressure—the iPad is right at home as a separate recorder for audio in a double-system setup. After all, many DSLR filmmakers already deal with this issue. "...the fact that the iPad is essentially a computer is its greatest weakness, but also its greatest strength." Let’s bring this all together. You have your boosted video-recording software and either a viable single- or double-audio solution. All this must be compiled into a unified package. Even though there is nothing technically separating the iOS devices that the average consumer and the Bentley commercial shooters use, in this case it’s about what’s outside (pun intended). You’re probably going to want a rig. Just like any camera setup, a rig makes the camera more easily applicable to your specific style of filmmaking, but since an iPad is not your average video camera, an iPad rig has to do a little more in the ways of making the tablet physically useable as a video camera. Fortunately, this niche in the market is filled with quite a few options as far as cases are concerned. Now, these aren’t your average svelte iPad cases with leatherette finishes or magnetic closures; these are purpose built for filmmaking. Most of these cases feature tripod mounts and multiple accessory mounting points for lights or microphones by way of standard cold shoes. Some mounts, like our G10 Pro Cage, have built-in handles; essential for more comfortable handheld operation. Is the lens on your iPad too wide? Or do you need to get more of your surroundings into your shot? You will find that iPads are not being left out of the interchangeable-lens game. Some mounts even come with lenses to expand your shooting options straight away. Armed with one of the mounts linked here, you can start building up a rig with lenses, lights, microphones, external audio recorders, and other accessories that really fits your workflow and your shooting style. You don’t even need an external monitor with that huge screen! On the other hand, if you want to delve right into iPad filmmaking with a full-featured kit, pairing everything you will need for a high-quality iPad video experience. Possibly the only serious disadvantage to working with an iPad for video is the internal battery. While it is rechargeable, it’s not replaceable, and at the time of this writing I don’t know of any serious options for mounting external and easily replaceable batteries directly on the iPad. While you can probably jury-rig something, my suggestion would be to either try to remain plugged in to the wall or a USB port as much as possible, or load up on inexpensive battery packs. It’s not an elegant solution, but it will keep you powered up during your shoot. Just keep in mind that some audio solutions require access to the Lightning or 30-pin connector on your iPad, and will prevent you from connecting an external power source. Once you have your iPad kitted out with the right hardware and software, you can tap into that tremendous potential that lies within the iPad’s video capabilities. Heck, you can even edit and share a finished product without having the footage leave the iPad! Do I think that professional filmmakers will be leaving their dedicated cameras for an iPad anytime soon? Well, I wouldn’t put money on it; however, being able to use such a ubiquitous device as a high-quality tool for video acquisition is really worth consideration from pros and amateurs alike, especially in a pinch where you can only bring one device with you. And, as the saying goes, the best camera is the one you have with you. 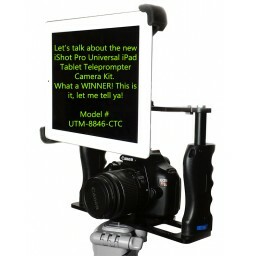 And with all these options, using an iPad for filmmaking no longer has to be a compromise. 0 Comments To "How to Use your iPad to Record Quality Video"